Thanks to recent stock market moves, volatility is a hot topic right now. You may find yourself feeling the pull of emotional investing as you read the papers, watch TV, or talk to your friends. Money is on everyone’s mind, and it may even be keeping you up at night. When you’re in retirement you want to let your investments do the work for you. You’ve worked hard for 30+ years to get to this point, but if your next family trip is counting on your portfolio continuing to flourish, I understand how it can get to your nerves. If you’ve been following through with your investment strategy and you’ve put together the correct portfolio, all this market volatility will have little to no impact on what you’re doing. However, everyone can use a little help when things get tough, so I’ve got two things NOT to do when it comes to market volatility. First off, don’t panic -- and definitely do not make changes. Now isn’t the time to sell. You have a strategy in place, and you have a financial advisor. Let them do the job. Ignore the media. Stick to your game plan. Some expert on the 5 o'clock news doesn’t know your investment strategy better than you or your advisor. So, don’t let him convince you otherwise. Now if you’re saying, “I haven’t panicked, and I’m too busy on the golf course to care about the news,” good. You’re on the right track. But if you’re looking for a little extra comfort I’ve got a few tips on what you should be doing to ensure you get a solid 8 hours of sleep every night during market volatility in your retirement. Pay Yourself First. For decades every week or two you received a nice lump sum paycheck to cover your bills, and maybe save up for your next car. Now that you’re retired, why should that stop? Perhaps now you’re switching to a monthly salary, but by putting that $10,000 into your account, you’re not changing your lifestyle. This is how you lived when you worked, it can work when you retire. Maintain a Cash Reserve. So where does the money from step 1 come from? This income should be coming straight from your cash reserve. I recommend 1-3 years’ worth of cash to be readily available, and perhaps a bond fund. We all know cash doesn’t make much interest, but at least if you’re drawing from this fund month to month, you’re letting the majority of your money work for you in your investment portfolio. Long Term Asset Allocation. If you have enough money in your cash reserve, you allocate enough money to your fixed income (mostly bonds) and the rest into stocks. How you divide your money up between bonds and stocks depends on a variety of factors (time horizon, tolerance for risk, rate of return), and can be decided with the help of a financial advisor. Diversify. The stock market is a lot more than S&P 500 or the Dow. Emerging and International markets have been outperforming US markets for the past two years. There are small cap and large cap stocks. There are subclasses of stocks, and each one of these sectors does well over different time frames. So, you want to be sure you have a position in all these areas, and that you’re balancing your asset allocation to work best for you. You Want to Have Rebalance Type of Discipline. Don’t decide to mess with your portfolio diversity based on a gut feeling or listening to the world. You want to have a strategy in place so that when you do go in to rebalance your portfolio, you’re doing it because of the numbers and not because of emotional investing. Control What You Can Control. Since no one person can control the stock market, it’s time to learn what you can control. You’re in charge of your asset allocation. You’re in control of your rebalancing schedule. 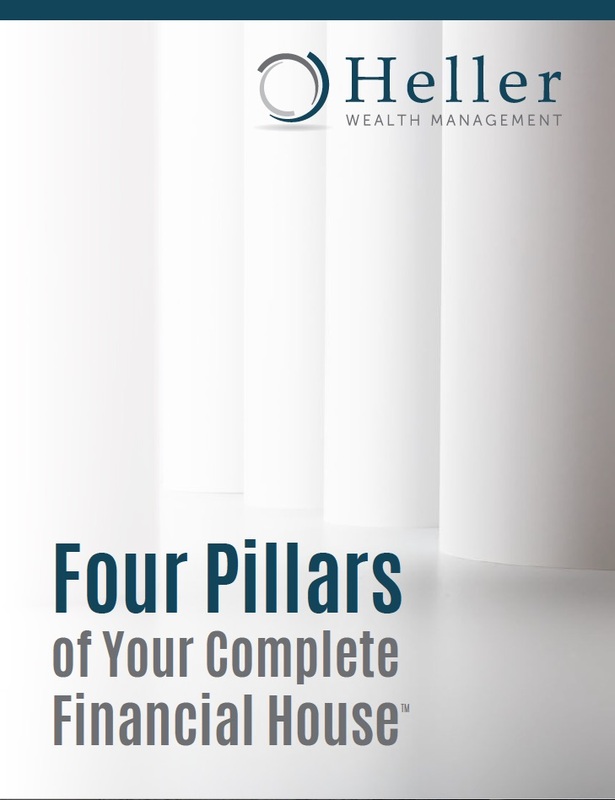 You can control your cash holdings and your investment plan. If you maintain your plan, and take control of those things you can, you won’t be impacted by that pesky thing known as stock market volatility. Every stage of your life is worth enjoying. Retirement should also be one of them. Don’t let your market worries chase you from what you love doing, or who you love doing it with. Follow these easy steps, find yourself a dependable advisor and you can sit back and relax and book that next tee time.